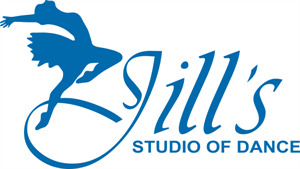 Welcome to Jill's Studio of Dance! Please complete the following registration form. The registration fee is $34 for the first student and $29 for each additional student. Please indicate the day, time, and type of class in which you request that your child be enrolled in the comment section below. Your schedule will be emailed to you upon placement. I, the undersigned parent or legal guardian of the registered child, (the "Child"), in consideration of his or her participation in dance classes, recitals, competitions, and any other activities, wherever or however they may occur, associated with Jill's Studio of Dance ("JSD") acknowledge that I understand the risks inherent in such activities. I have discussed these risks with the Child and I agree for myself, my family, heirs and assigns, not to sue and do hereby forever release, indemnify, and hold harmless, JSD, its owners, officers, agents, employees, instructors, and volunteers from any and all present and future liability, claims, demands, or causes of action whatsoever arising out of the Child's participation in any and all activities associated with JSD, regardless of whether from the ordinary negligence of JSD, from any of the listed parties, or from any other cause. I hereby authorize JSD to render first aid to the Child in the event of injury or illness and, if deemed necessary by JSD staff, to contact the Child's physician whose name and phone number are provided in this registration form, or failing that, to seek medical help, including transportation to a health care facility or hospital. I agree to fully and completely assume and pay all costs and expenses incurred as a result of any such injury or illness. Furthermore, I understand that JSD strongly recommends that anyone wishing to enroll at JSD seek the advice of a competent physician before engaging in dance instruction or any activities incidental thereto. I understand that this Waiver and Release of Liability shall be as broad and inclusive as is permitted by the laws of the State of Alabama and agree that if any portion is held invalid, the balance will continue in full force and effect. I also agree that, to the extent allowed by applicable law, any legal proceeding brought pursuant to this Waiver and Release of Liability shall be brought in the State of Alabama. I am the parent or legal guardian of the Child. I have completely read this form and hereby voluntarily agree to its terms on behalf of myself and the Child. I fully understand that by signing this form, I am giving up legal rights and remedies which may be available to me for the ordinary negligence of JSD or any of the parties listed above. I, hereby grant permission to Jill's Studio of Dance ("JSD"), its employees and agents, to take and use visual/audio images of my child. Visual/audio images are any type of recording, including but not limited to photographs, digital images, drawings, renderings, voices, sounds, video recordings, audio clips or accompanying written descriptions. I agree that JSD owns the images and all rights related to them. The images may be used in any manner or media without notifying me, such as websites, publications, promotions, broadcasts, advertisements, posters and social media. I waive any right to inspect or approve the finished images or any printed or electronic matter that may be used with them, or to be compensated for them. I release JSD and its employees and agents, including any firm authorized to publish, broadcast and/or distribute a finished product containing the images, from any claims, damages or liability which I may ever have in connection with the taking or use of the images or printed material used with the images. I have reviewed the 2018-19 JSD Student Handbook.